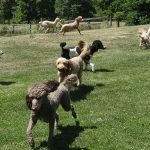 We are a small breeder of Goldendoodles and Standard Poodles, located in South Western Pennsylvania (about 40 minutes south west of Pittsburgh, Pa). Our dogs are raised in our homes and are treasured pets as well as moms and dads. 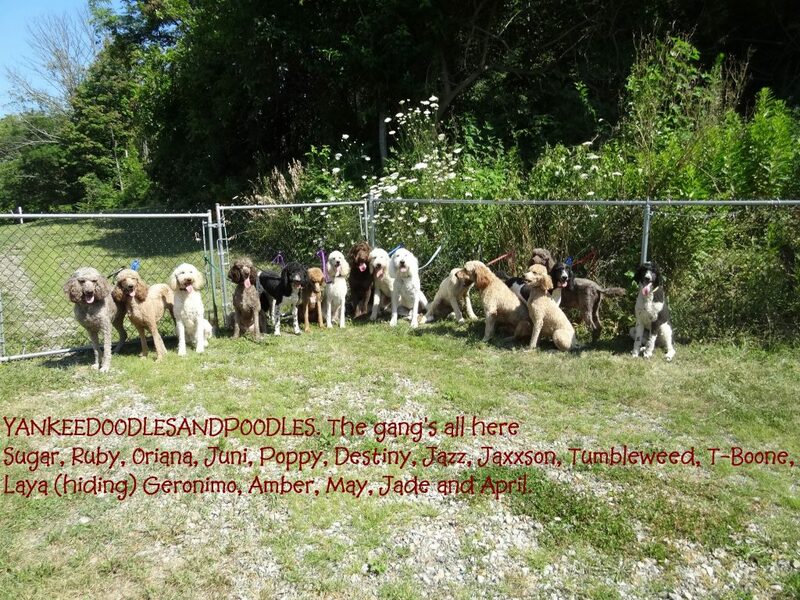 We started breeding Goldendoodles when we ourselves were in the market for one and could not find one in our area. Several of the ads in the newspaper featured dogs of questionable parentage, so we decided to start a breeding program of our own. We bred Golden Retrievers in the early 1980’s and we have both worked for veterinarians which we feel gives us a step up in this business. 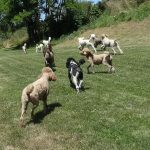 Our dogs are not just breeding dogs, they are quite well rounded. 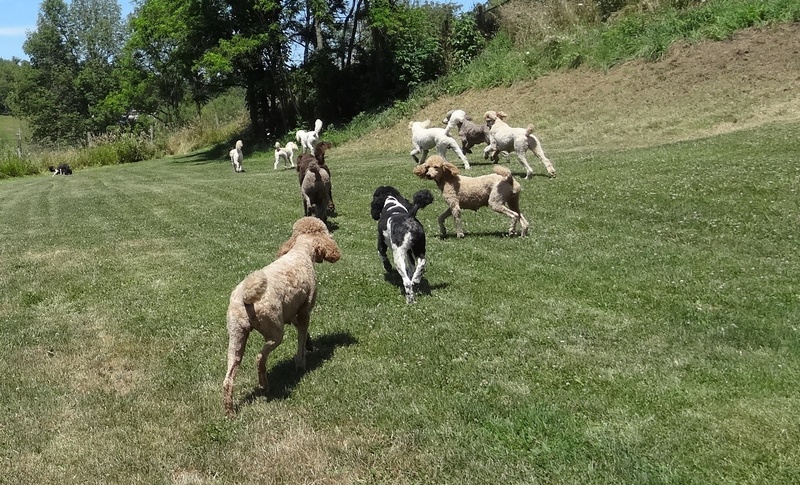 They are ambassadors for their breed no matter whether we are just out for a walk or visiting nursing homes. 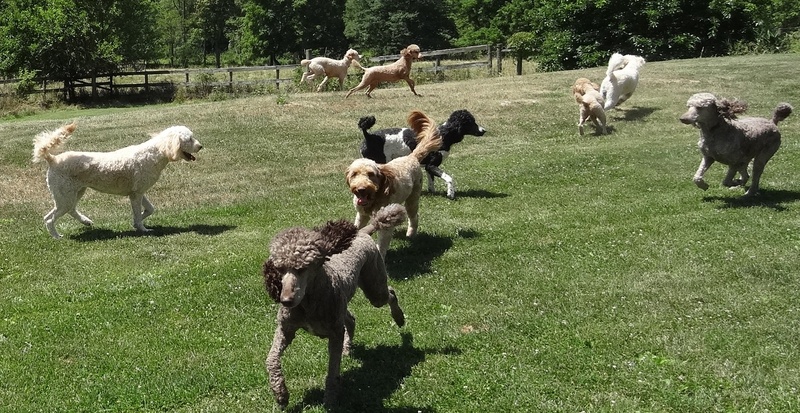 We have 11 acres for our dogs to run and play, which they do on a daily basis. We also like to take them to the local lake to swim, weather permitting. 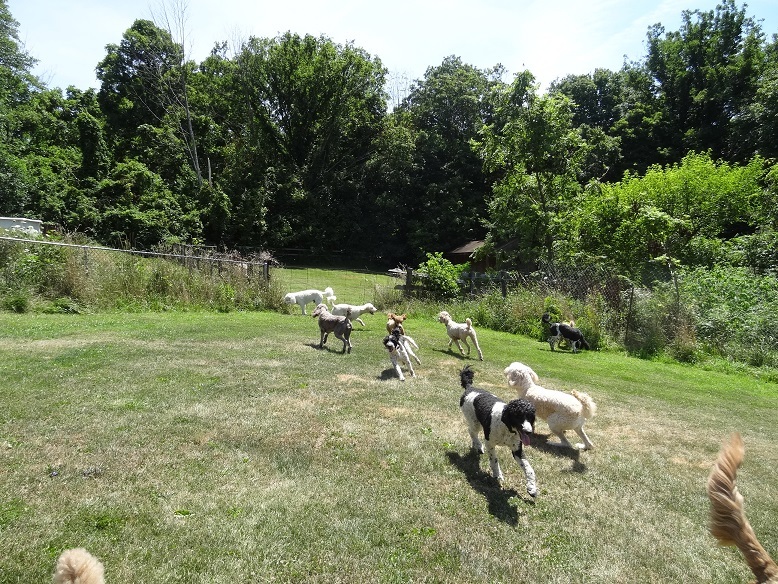 We just never wanted to have so many dogs we had to build outdoor kennels to house them and we never will. We back all of our dogs with a two year health guarantee against any life-threatening congenital diseases. We want our pups to be happy and healthy for many years to come. It’s why we pick the parents we pick to breed. We do not ship our puppies for several reasons: 1. We feel it is too stressful. 2. We believe the puppy should pick you as much as you pick the pup. 3. 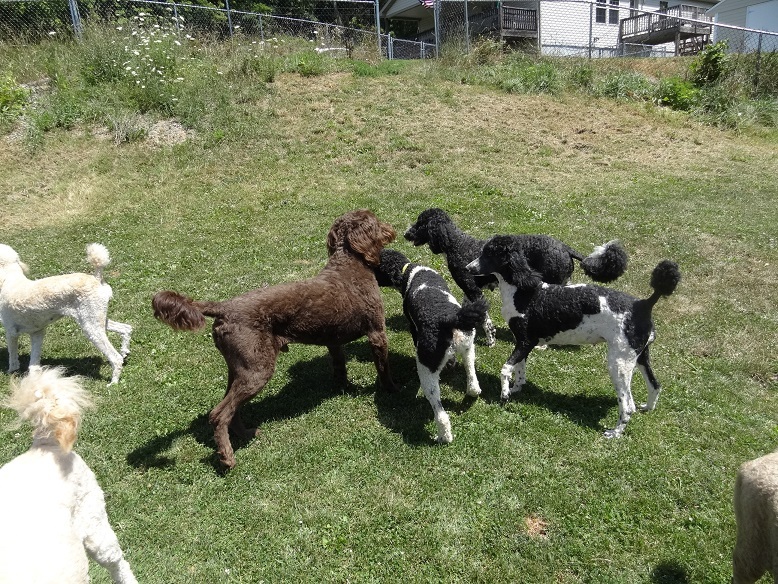 We like to meet our prospective buyers face to face, as we want our puppies to have a great home for life. Our reputation is very important to us and we want you to see our operation for yourself. We are very proud of our facility and we want our prospective buyers to feel at home here too.